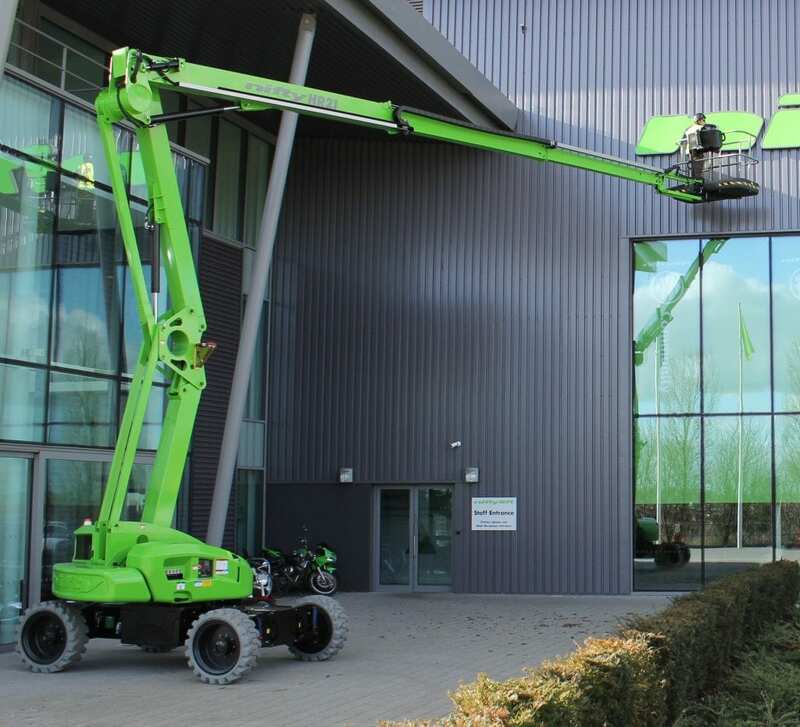 The Height Rider 21 4×4 (HR21 4×4) self-propelled cherry picker will lift 2 persons and their tools to a working height of 20.8m or a working outreach of 13m. 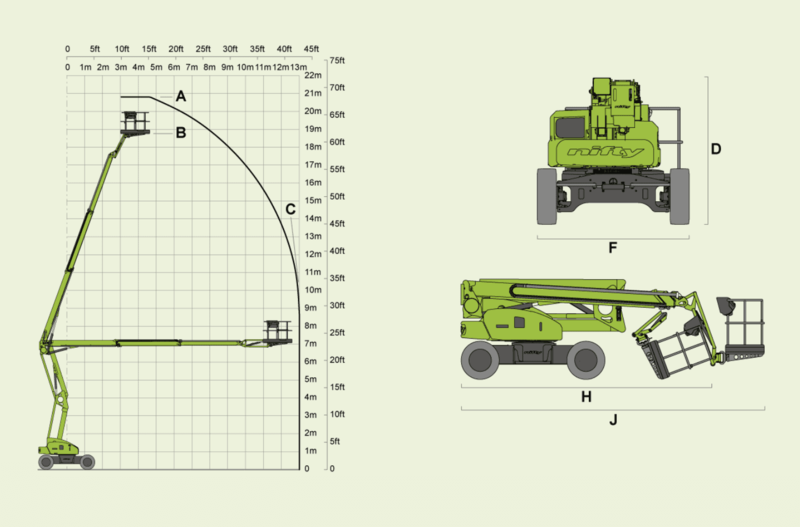 Proportional controls deliver smooth, measured operation while 160º cage rotation and a 150º fly-boom allow precise positioning anywhere in its vast working envelope. Weighing just 6,640kg, the HR21 4×4 combines innovative weight and space saving design with an excellent turning circle to deliver outstanding manoeuvrability on-site and lower transportation costs. The HR21 4×4’s 1.8m wide ToughCage (steel cage option available) offers more space for materials and tools and the tough, impact-resistant composite base and larger cross-section steel rails of the ToughCage also give additional strength and durability, while the multi-award-winning SiOPS® provides additional operator protection. The Hybrid option incorporates a smaller, power-optimised TIER IV compliant engine supported by the machine’s battery pack for when extra power is needed. This maintains power and performance while reducing fuel consumption for maximum efficiency. The Innovative ‘Diesel Re-Gen’ feature also recharges the batteries without a mains power source, giving a ‘fast-charge’ whenever the machine is idle and the engine running. In addition, an electric-only mode allows zero-emission operation, making it ideal for indoor use, or for quiet, clean operation. 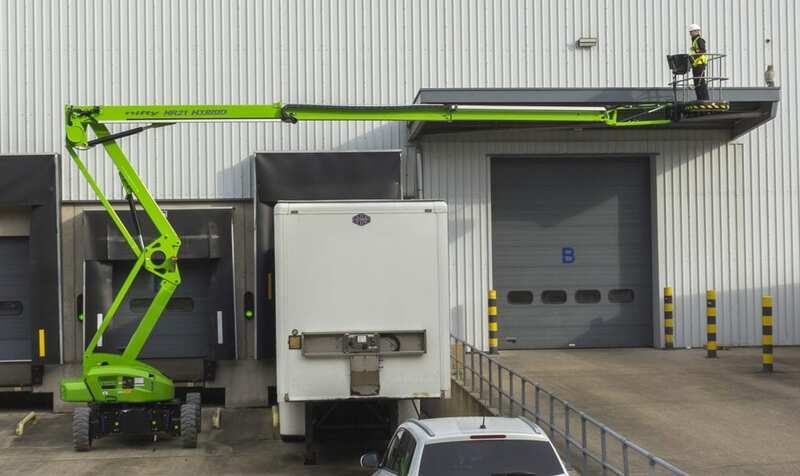 For more information regarding the HR21 Hybrid 4×4 or any other self-propelled boom lift, including the HR21 4×4 Hybrid, HR17 4×4 and HR28 4×4, please contact us.